Spend the day at the beach while keeping your iPod, phone, or camera totally charged! 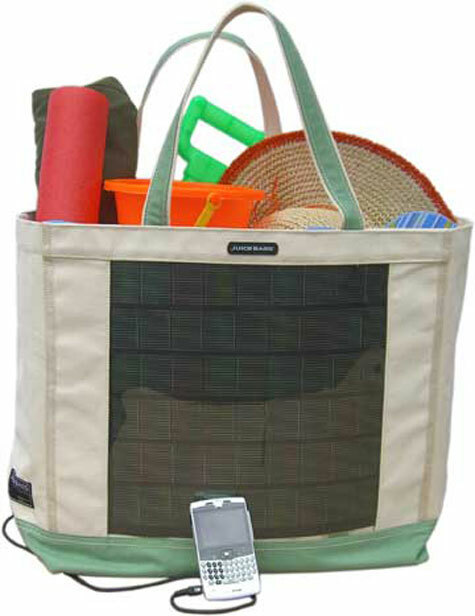 We’ve built the world’s first heavy-duty solar beach tote that incorporates our high-tech flexible solar panel. With the Juice Bag Beach Tote, your phone is good to go, and your camera’s always ready for that one great shot - No matter how far you are from a power outlet.